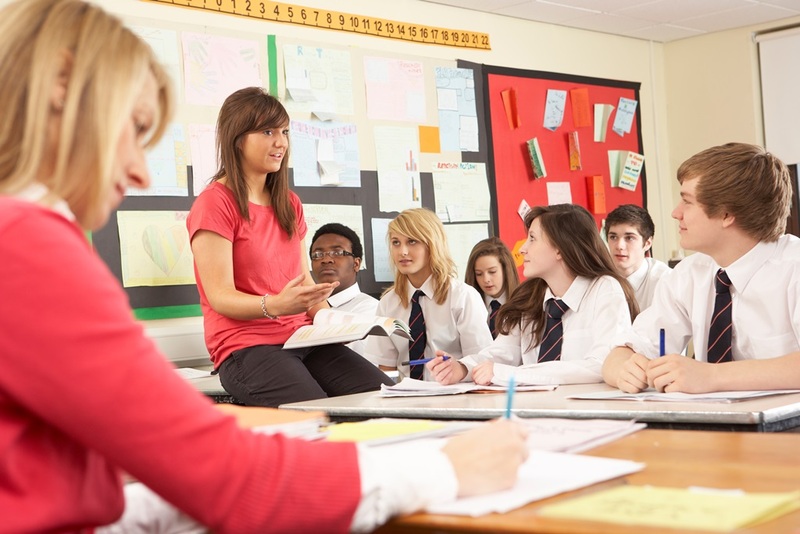 Becoming a teaching assistant is an excellent way to start a career in the education sector. As a teaching assistant, you will be asked to provide support to a teacher in the classroom, which allows them to focus on instructing their students. A teaching assistant will help the teacher to plan, organise, and deliver each lesson to students. They will also work closely with students, monitoring their behaviour and helping them understand each lesson. It can be a very rewarding position because you will have a dramatic impact on developing young minds. Teaching assistants can form strong bonds with students and gain great satisfaction from watching their students learn new things. It is the perfect role for anyone who enjoys working with children and is passionate about teaching. This guide to becoming a teaching assistant will take a look at the tasks that teaching assistants typically perform before explaining the process for entering this exciting profession. Lesson preparation can be an arduous task for teachers. As a teaching assistant, you will help the teacher by performing research, gathering materials, preparing presentations, and ensuring the lesson runs smoothly. Teaching assistants will be asked to perform clerical and administrative tasks including the checking of the student register, grading tests, writing memos to parents on behalf of the teacher, requisitioning supplies for the classroom, and ordering textbooks. They may be asked to organise and operate equipment in the classroom including computers, projectors, and televisions. At the end of the lesson, the teaching aid will help the teacher clean the room and prepare it for the next class. Teaching assistants will be required to monitor student behaviour in the classroom and on school trips. They must ensure the school remains a safe and positive learning environment for students. The teaching assistant will work with students to help them understand the lesson after the teacher has presented it to the class. This may involve working with small groups of students or providing individual assistance to a specific pupil. A teaching assistant often helps the teacher understand which students are struggling with the material and how well the lesson has been received by students. Teaching assistants are often called upon to provide specialised help to students with learning difficulties or a disability. They will help the student understand the coursework and participate in the class. Some teaching assistants specialise in helping students with special needs and have additional responsibilities including adapting classroom materials to formats the student can understand, communicating on behalf of the student, and helping the student with personal issues. What are the working conditions of a teaching assistant? Both part-time and full-time teaching assistant positions are available, ranging anywhere from 8 hours per week up to 40 hours per week. Most teaching assistants will only work during school hours. A teaching assistant will spend most of their working hours inside a classroom, but they may occasionally be asked to travel to remote locations for school excursions and sports events. How do you become a teaching assistant? Most schools prefer entry-level teaching assistants to have previous experience tutoring or supervising children. You can obtain this experience by volunteering at a school or tutoring children privately. Applicants with a qualification in childcare or youth work also have a greater chance of securing a teaching assistant position. What are the career advancement opportunities for teaching assistants? After a teaching assistant has gained more experience, skills, and qualifications, they can gain apply for a Higher Level Teaching Assistant (HLTA) role. HLTAs are expected to have stronger knowledge of the teaching curriculum and more experience with children. There are university courses available to help teaching assistants transition into a HLTA role. Many teaching assistants continue their education and eventually become teachers. Strategy Education is a leading recruitment agency that specialises in connecting employers with talented workers. We can help you find a teaching assistant position that you love! Contact us today on 0345 521 9987 for more information.